This option consists in deleting messages which haven't had a reply during X days in a specific forum. These messages can't be restored unless the restoration utilities are used or you chose to prune a forum to a basket. This option mustn't be enabled anywhere and you must be sure of its usefulness in one of your sections. For example, in the French support forum, the auto-pruning is enabled because there is a huge amount of messages and it's necessary to get rid of topics which have become useless. 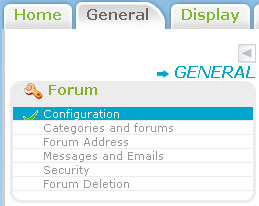 Then, click on the name of the forum where you want to activate the autopruning or click the according edit-icon . If it's not already done, click on the icon next to "Auto-pruning"
1- To enable the auto-pruning, the "Enabled" checkbox must be set to YES. To disable it, set it to NO. 2- To set the number of days before a topic is deleted, you just have to change the number in the field "Remove topics that have not be posted to in..."
3- "Check topic age every..." indicates to the forum when it must check which topics must be deleted and which ones are not to be deleted. In the screenshot, this option is set to 7 days. The forum will check the topic dates and will delete the ones who exceed the delay you have previously set. But I want to have the topics pruned in a basket instead of being deleted. Is it possible ? Yes, it's possible to have them automatically moved to a basket instead of having them automatically deleted. IMPORTANT : To use this feature, you must have configurated the basket option you can find above the "Pruning in the basket" option. As said above, the auto-pruning is not necessarily a wise choice because it may cause some problems, like disappearance of topics you wanted to keep. Personally, I advise it only for large boards who have a high level of activity. For example, graphic design boards who don't necessarilly need to keep topics about old requests which have been done three months ago. Be sure to have not enabled it accidentally. Many topic disappearance problems come from the auto-pruning which has been enabled accidentally. And, even if I have to repeat myself, the only way to go back is to use the forum restoration procedure. Then, be sure to disable this option accurately to be sure to not have the same problem a few days later. 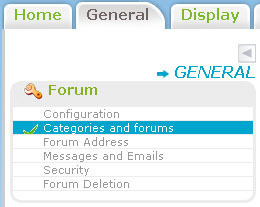 In case of doubts, go to your "Admin Panel >> General >> Forum >> Security", auto-pruned topics will be recorded here. Go down to get to "Last actions"